In this review we feature the best earphones for audiophiles and music lovers that provide pristine sound quality and rich details. These earphones come with acoustic drivers that provide detailed highs, detailed midranges and good bass performance which makes music feel smooth and lifelike. They are designed with a wide frequency response and deep bass and lows which provides for a really enjoyable listening experience. The sound performance from these earphones is top-notch, and they are some of the best earphones in the industry with crystal clear sound reproduction and lifelike soundstage. Furthermore, we liked the fact that these earphones come with ear-tips of different sizes to choose from for you to get the best optimal fit inside your ears. Our experts have tested numerous earphones to determine which ones provide the best sound quality and value for money. If you are looking for the best earphones from top-rated brands including Sennheiser, JVC, Jaybird and more, be sure to check out our top picks below! The 1MORE Triple Driver earphones are hands down some of the best earphones you can get with incredibly deep and punchy bass. In terms of sound performance, they provide extremely detailed, rich and clear sound with a superb deep low-end that you can actually feel in your ears. These earphones come with two balanced armatures and a separate dynamic driver for low-frequency reproduction – it can deliver dynamic highs, crisp vocals to super punchy lows. These bass earphones are also tuned by a Grammy award sound engineer Luca Bignardi to provide an accurate representation of the music exactly as the artist intended it. We liked the fact that the 1MORE earphones come with oblique angled ear fittings which naturally match your ear canals – it also comes with 9 sets of included ear tip sizes which ensure a proper fit without falling off. The 1More earphones come with intelligent control technology and an in-line remote which allows you to control the volume, select songs and take calls. It also has a superior MEMS microphone which eliminates cross-talking noises and background static. If you are an audiophile looking for the best earphones that will utterly rock your ears with deep low-end notes, the 1MORE Triple Driver Hi-Res earphones is the one you should get. In terms of sound performance and bass output, the 1MORE Triple Driver earphones sounds much better than any other earphones we have tested. The triple drivers produce full and balanced sound with crisp highs, warm mids and deep bass. The three drivers combine together to create an extremely accurate listening experience. Music performances sounded very crisp and clear, with vibrant attention to detail and vocals. Music genres such as electronic dance music, dubstep and pop sounded extremely punchy – the level of bass that the 1MORE earphones can reach is simply amazing. The bass goes very deep and envelops your entire ear with low-end bliss – it actually feels as though you are wearing bass earphones. Despite the deep low-end bass reproduction, the bass stays exactly where it should be as bass without muddying into the midrange frequencies. The highs and midranges are clean and crisp, and we did not hear any distortion at high volume levels. The 1MORE Triple driver earphones also perform very well with instrumental and classical music, and provides detailed separation and allows you to pick up details in the music which you might not have heard before. In terms of sound performance, it’s hard to go wrong with the 1MORE Triple Driver earphones. The 1MORE Triple Driver earphones are designed with aluminium alloy earpieces which are ergonomically angled to provide a good seal over the ears. The earphones features a sandblasted textured surface which provides an aesthetic appeal with fingerprint resistance while the cable consists of interior enamelled copper wrapped around Kevlar fiber to greatly increase durability and tensile strength. They have an oblique angle which matches your ear canals so you can enjoy music comfortably. It features two balanced armatures and a separate dynamic driver which creates a specious and transparent feeling when listening to music. The armatures are uniquely inset with durable silicone covers for lasting performance, while two outer layers of PET greatly increases the bass and midrange response time. We particularly liked the fact that these earphones come with 6 sets of silicone ear tips, 3 sets of foam ear tips, magnetic clasping travelling case and an airline prong adapter. The 1MORE earphones come with intelligent control technology with in-line controls allowing you to change volume, select songs and take calls. The Verdict? The 1MORE Triple driver are hands down the best earphones you can find that delivers extremely deep low-end bass reproduction and punchy beats. If you are a bass head looking for earphones that can deliver stunningly deep lows, while maintaining crisp highs and detailed midranges, the 1MORE Triple driver is an excellent choice. The bass from these earphones goes very low and stays where it should be without muddying into the midrange and highs. Music genres such as electronic dance music and dubstep sounded very enjoyable to listen to with crisp punchy beats; vocals remain crystal clear without any distortion at high volume. We liked the fact that the 1MORE earphones are ergonomically designed and are made with aluminium alloy which looks really sleek and unique. The earphones provide a sandblasted textured surface which looks really clean and sleek. It also comes with intelligent control technology with in-line controls for you to select volume, songs and take calls on the go. These earphones also have a superior MEMS microphone which eliminates cross-talk and background noises. On the whole, the 1MORE Triple Driver earphones are some of the best earphones available on the market and we highly recommend them. The Bose SoundSport is one of the best earphones you can find in terms of sound performance and comfort. These earphones feature Bose volume-optimized EQ which maintains a consistent, high quality level of sound performance – the sound stays true to your music at any volume and will block out external ambient noise with its noise isolating design. The SoundSport also features Bluetooth and NFC pairing with voice prompts for you to easily pair these earphones with your mobile device or switch between devices. They are designed for sweat and weather resistance for rigorous workouts, and also come equipped with lightweight Stay Hear+ ear tips which are made from a soft silicon material with a unique shape that provides a good seal at the entrance of the ear to improve noise isolation. The battery life on these earphones lasts a good 6 hours on a single charge, which is pretty good. 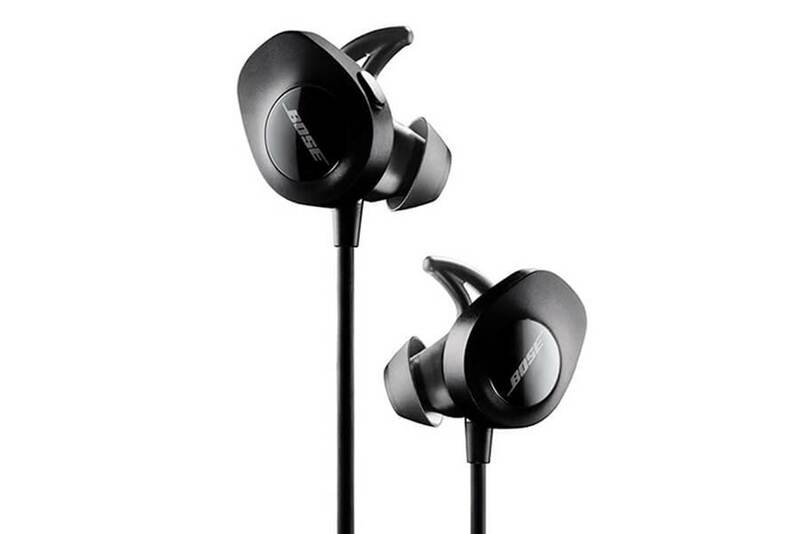 Overall, the Bose SoundSport is some of the best earphones made especially for those who want enhanced sound performance for workouts and rigorous use. The sound quality on the Bose SoundSport is phenomenally good – we were very surprised at how good these bluetooth earphones sounded. The bass response on these earphones are extremely tight and punchy, and we really liked how well articulated the low-end frequencies feel with the SoundSport. In fact, we would say that the Bose SoundSport has a warmer and fun sound signature, with a tendency to lean on the bass-heavy side. This made listening to rock and pop music particularly exciting and enjoyable on the SoundSport. The mids and highs were also crisp and clear, and we could clearly hear the details in the midrange and the treble. The SoundSport features a volume-optimized EQ which maintains consistency in the sound quality at every volume level, which makes these earphones sound just as good if you have to crank up the volume in noisy environments. Where the Bose SoundSport shines is how comfortable these feel in the ears. Despite these earphones being slightly bulky, they are incredibly comfortable to wear and the wires wrap nicely behind the neck without impeding movement. The ear-tips are designed with a soft silicon material which provides a good seal at the entrance of the ear, which greatly enhances noise isolation and sound performance. We were actually quite surprised at how comfortable these earphones felt inside the ears despite their slightly larger size, and they stay securely in our ears even with constant shaking and head movements. The SoundSport also includes several inner-ear tips of varying sizes for you to choose from and get the perfect fit in your ears. The earphones are fully sweat and weather resistant which means that you can take them out for a run or for rigorous exercise in the gym and never have to worry about water getting inside them. The SoundSport uses the Bose Connect app which allows you to easily connect and switch between devices with Bluetooth and NFC pairing. Interestingly, the app also has a feature where you can read your pulse from these earphones which is pretty useful for training. The charging port is located directly in one of the earphones which works well and takes approximately 15 minutes to charge for every hour of use. There are also buttons on the SoundSport which you can use to adjust the volume, take hands free calls and skip soundtracks. The entire package comes with a USB charging cable, a hardened carry case and an extra set of ear tips, which is a nice added touch. The Verdict? The Bose SoundSport is one of the best earphones designed for sports use. While the Bose SoundSport falls on the slightly pricier side, the battery life, comfort and sound quality of these earphones are simply incredible and top-notch. We also liked the voice prompts which give a battery percentage update whenever you pair these with your mobile device, which is a useful function to let you know when to charge them. The silicone ear tips on these earphones are extremely comfortable to wear and effectively block out ambient background noise, which is ideal if you intend to use them in noisy environments. The sound performance of the Bose SoundSport is phenomenal, and produces deep bass with crisp highs and mids with consistent sound quality at every volume level. Overall, these are some of the best earphones we have encountered and we highly recommend them. The Phaiser BHS 530s are some of the best earphones that deliver great value for money. The BHS-530s come equipped with 10mm drivers which produce very good high definition sound with powerful bass, and Comply T-400 M memory foam tips for improved noise isolation. These earphones are also designed to be sweat-proof and are coated with a protective material to withstand sweat produced from rigorous workouts and exercises. The BHS 530s also feature an around the neck wearing style with a flexible memory-wire which adapts to the size of your head to provide better support and improve your listening experience. It also comes with a built-in microphone for you to take hands free calls on the go and is equipped with Bluetooth 4.1 technology for advanced wireless music streaming. At the time of writing, the Phaiser BHS 530s are some of the best earphones designed for sports and workouts, and are definitely worth a closer look. The sound quality of the BHS 530s is superb and can be cranked up to maximum volume without affecting the sound quality. The midrange on these earphones feels clear and detailed, and the bass reproduction is decent and not overwhelming. These earphones are also capable producing decent highs and good treble response, which gave an extra sparkle to the music. This made listening to music on these bluetooth earphones while doing exercises a very smooth and enjoyable experience. The BHS 530s have quite a wide frequency spectrum and can play a large variety of music genres without any issues; vocal performances sounded crisp and clear, and rock music felt punchy and impactful. We were pretty impressed with the overall sound quality of the BHS 530s at this price range. The BHS 530s are designed for comfort and have a good comfortable fit around the neck and ears. They also feature intuitive Bluetooth controls which make adjusting the volume or skipping soundtracks really easy to do. It also comes with an integrated microphone for you to take hands free calls while working out on the go. The foam tips fit snugly into our ears and felt secure – they also did a pretty good job at sealing outside noise and providing an immersive sound experience. The memory wire wraps around the head nicely and has a secure fit, and does not impede movement in any way. The Bluetooth range on these earphones is a good 33 feet distance which is ideal if you need to listen to music while walking around the house or gym. The battery life on the BHS 530s lasts a good 5 to 6 hours of continuous playtime on a single charge, which is pretty decent for its price. The good thing about the BHS 530s is that they come with the latest Bluetooth 4.1 technology, meaning that they will remember and automatically pair with your mobile device the second time you pair it. The Bluetooth 4.1 streaming also improves stability and consistency while streaming music, which gives a better high quality music listening experience. The entire package comes with extra ear tips for you to get the right fit, and also comes with nice ear hooks for you to secure these earphones if you are doing rigorous exercises. The Verdict? The Phaiser BHS 530s are some of best earphones that you can find at a very good price point. These earphones are very comfortable to wear, and are designed to be fully sweat proof which means that you don’t have to worry about working out while wearing these earphones. It also features intuitive button functionality which is convenient and easy to use – you can increase the volume skip tracks or take calls by pushing these buttons. The comfortable ear tips also do a good job by sealing exterior sound and improving the overall listening experience. Furthermore, the BHS 530 comes equipped with Bluetooth 4.1 technology and improved battery life, with nice extras included in the overall package. Overall, the BHS 530s are some of the best earphones that deliver stellar sound quality and value at a budget price. The Treblab XR500s are some of the best earphones with IPX 7 waterproof design, noise cancellation technology and high definition sound. These earphones are equipped with the latest Bluetooth 4.1 CSR technology with improved acoustic drivers to produce, rich, high definition sound with crisp treble and punchy bass. 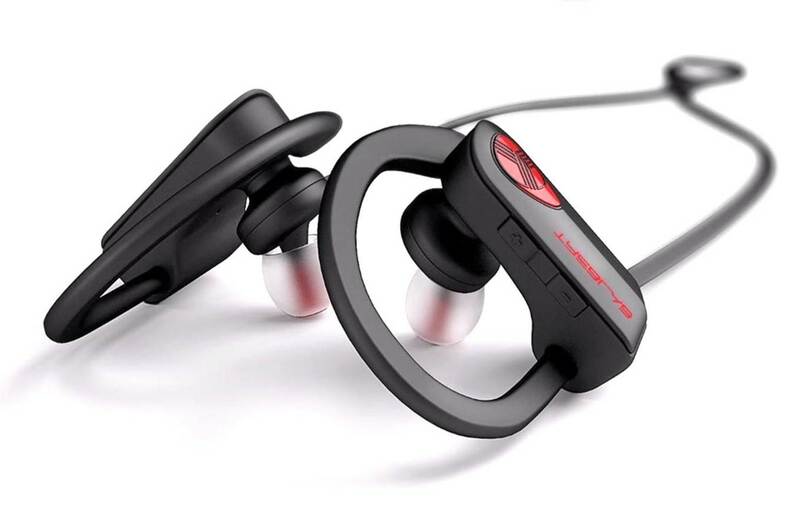 They have an IPX7 waterproof and sweat-proof design, which is perfect if you intend to use it for sports or hit the gym with these bluetooth earphones. The XR500s also feature advanced passive noise cancellation with unique expandable foam ear-tips that block out ambient noise and enhance the overall listening experience. It also comes with an integrated microphone for hands free calls and a battery life that lasts a whopping 9 hours of continuous music playtime on a single charge. The Bluetooth connection is compatible with smartphones, iPhone, iPads, android devices and laptops, which means that you can connect the XR500s to a variety of devices without any issues. At the time of writing, the Treblab XR500s are some of the best earphones available for rigid outdoor sports and activities, and we highly recommend them. The XR500s have a very crisp, clear and detailed sound quality. The sound quality is more suited for those who want a more bass-heavy sound, and can produce deep punchy lows that listeners of chill-step, electronic and pop will enjoy. The acoustic drivers on the XR500s are also capable of producing high-definition sound with incredibly crisp treble and detailed midrange – vocal performances came through as though we were listening to the concert live with crystal clarity. The frequency response on these earphones is a nice 20Hz to 20kHz, which is a good frequency range for a variety of music genres. If your mobile device supports apt-x compression, this will drastically improve the sound quality through these Bluetooth earphones – we would also recommend tweaking the EQ settings to get the desired sound performance. The passive noise cancellation design on the XR500s also helped to improve the sound clarity and bass response, while blocking out ambient background noise. For the best sound performance, we would recommend trying on the included ear-tips for the best fit in your ears to prevent any sound leakage. The design of the XR500s looks sleek and modern, and feels very comfortable with its expandable foam ear-tips and ear hooks which help to secure them to your ears. We had no issues wearing these earphones for hours of continuous use and did not experience any ear fatigue from prolonged use. The ear hooks are made of a soft silicon material which makes them very flexible and stable on the ears. We liked the fact that these earphones are designed to be IPX7 waterproof and sweat-proof which is great if you intend to use them for rigorous outdoor use. The cords are also short and lightweight which is great because they do not impede your movements; you can barely feel them on your neck which also reduces any drag on your skin. That being said, these earphones may slip off your ears if too much sweat gets onto them as the sweat makes the silicone earphones slightly slippery – you can eliminate this issue by simply wiping off the sweat from these earphones and they will fit securely back into your ears. The great thing about the XR500s is that they feature CVC 6.0 noise cancellation which can reduce ambient background noise – this is especially useful if you need to use these earphones in a noisy environment like the gym. The battery life on the XR500s is a stunning 9 hours of continuous playtime on a single charge, with a charging time of 2 hours. Once connected to your mobile device, the battery life also displays on the device screen which helps you to keep track on the battery usage. The Bluetooth signal range is a good 38 feet and you can also take hands free calls on your mobile device with these earphones. The button controls on the XR500s are simple and intuitive to use, and you can use them to control calls, adjust the volume, skip, and pause and play soundtracks. The Verdict? The Treblab XR500s are some of the best earphones you can find on a budget. The XR500s is an amazing option for this price range, and delivers stunning sound performance that rivals that of higher end earphones. Furthermore, the XR500s are designed to be IPX7 waterproof and sweat proof, which make them ideal for gym or sports use. These earphones are also designed to be extremely comfortable to wear for extended periods of time without producing any ear fatigue; we particularly liked the soft silicon ear tips and ear hooks which kept them secure inside our ears. The battery life on these earphones lasts a stunning 9 hours of continuous playtime, which is just about as good as it gets. If you are looking for one of the best earphones for high intensity use, the XR500s could just be your answer. The Audeze iSINE20 is one of the best earphones that deliver exceptionally high quality sound with its innovative planar magnetic drivers. These earphones are semi-open, in-ear earphones that provide superb high-fidelity sound performance with very good soundstage and audio separation. These earphones allow you to hear music exactly the way the artist intended it to be heard, with exceptional clarity throughout the entire frequency range with deep accurate bass and clean treble ranges. We also liked the fact that you can use the Audeze iOS app to boost or elevate the midranges in real time, featuring a 10-band equalizer and two presets – these settings are stored with the cable. Furthermore, the iSINE20 earphones feature a very unique and sleek looking design with cipher cable and a standard 3.5mm cable for compatibility with most audio devices. If you are looking for one of the best earphones that can really bring out the quality of your music, the Audeze iSINE20 is definitely a great choice. The sound performance of the iSINE20 is extremely detailed and pristine, with crystal clear highs, detailed midranges and surprisingly good amount of bass. These earphones come with a voice-coil that covers the ultra-thin diaphragm to enable better control and responsiveness. It also comes with an included lightning cable with DSP for virtually zero sound distortion. The Audeze earphones provide great soundstage with good sensation of music surrounding your ears – you can feel the distance, depth and separation between the various instruments and sound sources. They are capable of detailed subtlety, projecting sounds through a distance that provides a spatial imaging of the sound recording. We also liked the fact that you can really crank up the volume on these earphones without hearing any distortion – everything sounds full and high-fidelity across all frequency ranges. The iSINE20 earphones features a hybrid design that delivers a soundstage similar to a holographic projection around you head, allowing you to hear the direction where each note is originating from. Despite the fact that these earphones are semi-open, they do provide relatively good sound isolation and block out ambient noises from interfering with your listening experience. The design of these earphones are stunning and aesthetically appealing – it features two planar magnetic earphones with very thin diaphragms for consistent electronic magnetic sound distribution. The earphones come with fluxor magnets with 2x the efficiency of other magnets, giving these earphones more dynamic impact in their overall sound signature. The Verdict? The iSINE20 earphones are some of the best earphones available for audiophiles who want to hear every single detail in the music exactly as the artist intended it to be heard. The earphones are built to deliver exceptional clarity throughout the entire frequency spectrum, with crystal clear highs, detailed midranges and stunning bass performance. The sound quality of these earphones is best described as dynamic, spacious and immersive. It comes with planar magnetic drivers which provide consistent sound quality at all volume levels without any distortion. We also liked the fact that these earphones come with the Audeze iOS app which boosts or elevates mid-range performance in real time, and features a 10 band equalizer and two savable presets that allow you to listen to any music genre according to your preferences. If you are looking for some of best earphones that will really make a difference to your audiophile listening experience, the Audeze iSINE20 earphones come highly recommended. The FiiO F9 are some of the best earphones that come equipped with three drivers for full-range audio reproduction. These earphones come with three drivers – one 9.2mm dynamic driver specficially tuned to produce deep lows and bass, and two Knowles balanced armature drivers for crystal clear clarity and detail. 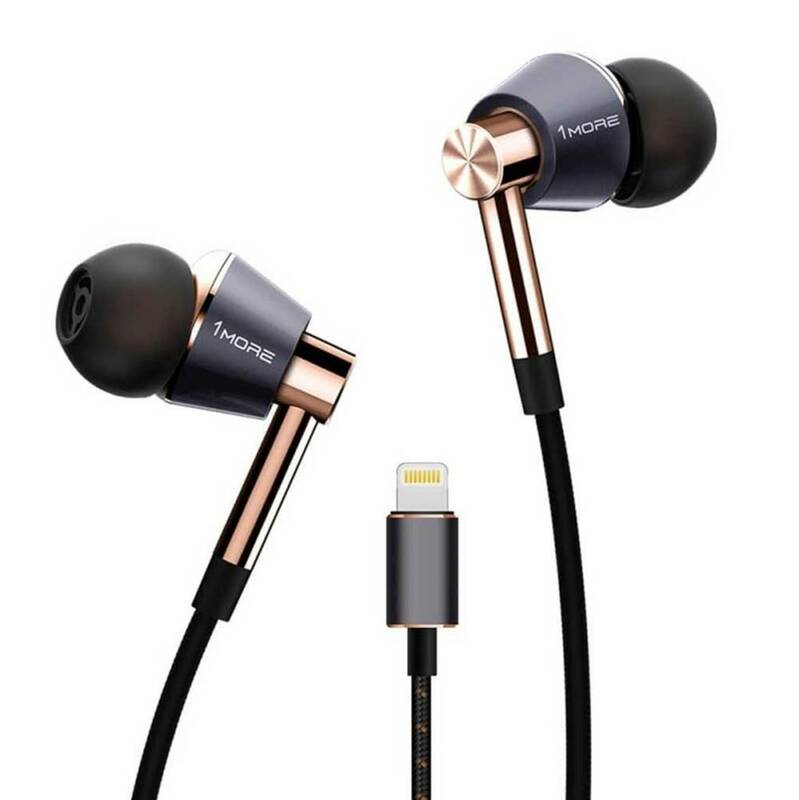 The F9 earphones also comes with a detachable cable design with MMCX connectors, supplied with both a single-ended audio cable. The audio cable comes with an in-line microphone and control, and a 2.5mm balanced cable. Both cables come with an L-shaped plug with red and blue metal rings on the MMCX connectors. The FiiO F9 has an over the ear design for an enjoyable listening experience. These earphones are also built to deliver incredibly detailed sound performance with balanced frequency ranges – you can hear almost every single detail in the music with precision with the FiiO F9. If you are looking for one of the best earphones with triple drivers that can balance between bass and other frequency ranges, we highly recommend the FiiO F9 earphones. The sound quality of the FiiO F9 earphones is incredibly crisp and detailed. They produce high-resolution audio with a frequency response up to 40 kHz, which allows you to hear essentially the entire audio spectrum. It reproduces audio with clarity and provides a lifelike listening experience. The bass output on these earphones is tight and punchy – it feels very responsive and goes deep. The bass on the F9 earphones feels tight and punchy without a hint of muddiness. The bass also adjusts in proportion to the volume output and feels consistent without any bloatedness. Furthermore, the treble ranges on these earphones sound pristine and crisp without any harshness; it leaves nothing to be desired for your ears. There is no sibilance or distortion on these earphones at higher volume levels. If you are looking for earphones with really powerful and deep bass and crystal clear treble ranges, the FiiO F9 are the earphones you have been waiting for. The design of the FiiO F9 earphones is sleek and minimalist. It comes with an over the ear design that provides an enjoyable wearing experience. The earphones also have a detachable cable with MMCX connectors, and comes with both a single-ended audio cable with in-line microphone and control, and a 2.5mm balanced cable. The MMCX connectors allow you to switch between cables depending on your preferences. We also liked the fact that the manufacturer provided 12 pairs of ear tips that come together with these earphones and a waterproof carrying case as well. On the whole, these earphones are very well designed and are sleek and comfortable to wear for long periods of time without any fatigue. The Verdict? The FiiO F9 are some of the best earphones that provide superb sound quality and performance. 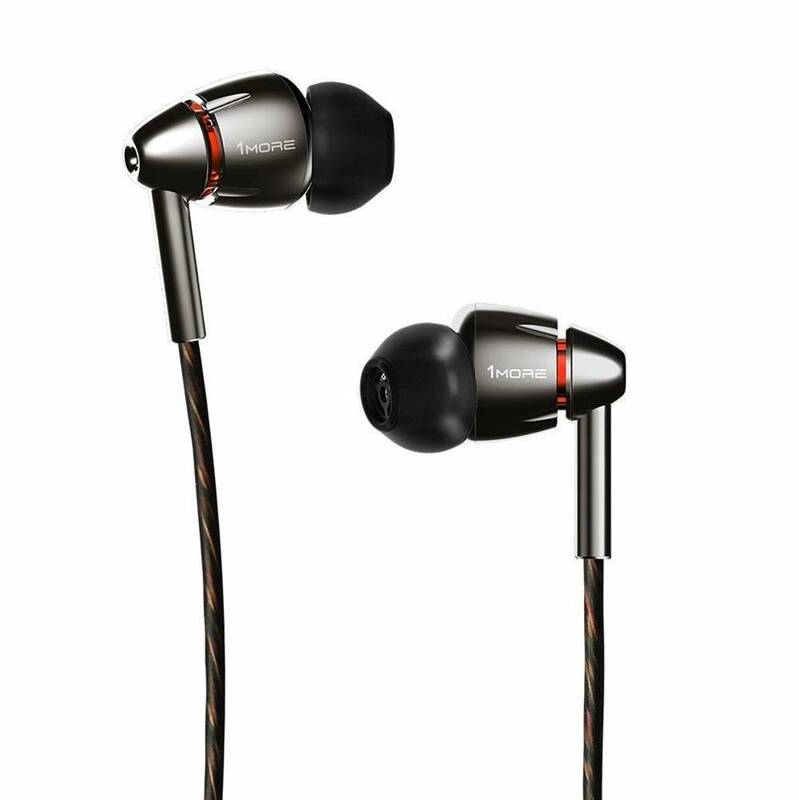 The F9 earphones consist of one 9.2mm dynamic driver with two Knowles balanced armature drivers that provide a good balance with crystal clear highs, detailed mids and bass output performance. It comes with an over the ear wearing design for added comfort, and MMCX connectors which allow you to interchange the cables depending on use. These earphones can produce frequency ranges up to 40kHz, with very crisp trebles and midrange tones. The F9 earphones also comes with a range of accessories including 12 pairs of ear tips, waterproof carrying case and a carrying pouch for easy storage. Overall, they are some of the best earphones we have tested that come with a triple driver design and deliver pristine audio performance. The 1MORE Quad Driver are hands down some of the best earphones available built for dynamic high-fidelity sound performance with deep bass. These earphones are equipped with four drivers – they are diamond-like carbon dynamic drivers with 3 balanced armature drivers that provide crystal clear highs, detailed midranges and very strong bass that hits hard and punches deep. Due to the number of drivers in these earphones, they are reproduce a wide spectrum of sound-ranges and allow you to hear details in the music which you might not have noticed before. The earphones feature a meticulous design with streamlined aluminium sound chamber with ergonomic enclosures which provide comfortable noise isolation. They also come with intelligent controls with microphone with convenient in-line controls that allow you to change volume, skip songs and make crystal clear calls without any issues. The 1More Quad Drivers come with deluxe accessories including a gift box, leather travel case, 9 ear tips of different sizes to choose from and an airplane adapter. If you are looking for the best earphones that can deliver high-fidelity sound performance, the 1More Quad Driver earphones is definitely a great choice. The sound performance of the 1More Quad Driver earphones is rich, clear and vibrant and suitable for audiophile listeners who demand high-fidelity performance. The 1More Quad drivers feature four drivers which are equivalent to having four speakers inside the earphones – each driver is dedicated to producing crisp highs, detailed mids and deep bass performance. We particularly liked the fact that the four drivers create a spacious feeling with a good degree of soundstage, making you feel as though you are listening to your music in a live concert hall. We also liked the fact that these earphones come with a streamlined aluminium sound chamber with tungsten textured accents which allow for natural airflow and a more nuanced sound signature. We would describe the sound signature of the 1MORE Quad drivers as natural with a tendency towards the lower-midrange frequencies. They are great for bass-heavy music genres such as electronic dance music, but also perform very well for vocal and instrumental performances with crisp treble ranges. These earphones have a frequency range that extends up to 40 kHz and has high-resolution acoustic quality. The 1MORE Quad Driver earphones are meticulously designed with streamlined aluminium chambers with provides an ergonomic and comfortable fit inside the ears. These earphones are expertly tuned to reproduce natural sound frequencies and you can practically wear these earphones for prolonged periods of time without feeling any fatigue. They also come with intelligent control technology which allows you to answer calls, skip tracks and adjust volume on the go. The 1MORE earphones are capable of high-resolution audio with a range that extends up to 40 kHz; it features a diamond-like carbon driver which features a lightweight crystalline structure that transfers sound waves accurately without distortion. We particularly liked the fact that these earphones come with a 45 degree oblique angled ear fitting which naturally matches your ear canals to ensure a secure and proper fit. The earphones come with a tangle resistant and tough Kevlar core cable made of oxygen-free copper wire which provides clear audio performance. Finally, the earphones also come with built-in chips which automatically identifies your smartphone, tablet or computer device and allows you to make calls or adjust soundtracks on the go. The Verdict? The 1MORE Quad Driver are some of the best earphones designed for audiophiles that deliver high-fidelity sound performance. These earphones are specially engineered with four acoustic drivers to handle the highs, midranges and lower-bass frequency ranges. The sound signature of the 1MORE earphones is natural and slightly warm, which places an emphasis on the lower-midrange frequencies. They are great earphones to have if you enjoy listening to rock, hip-hop or pop music genres. Furthermore these earphones are very comfortable to wear and come with a 45 degree oblique angled ear fitting which conforms to your ear shape. We also liked the fact that these earphones come with 9 different sets of ear tips for you to choose from and get optimal comfort with these earphones. They are also expertly tuned to ensure a fully balanced and realistic soundstage. If you are looking for some of the best earphones designed for high-fidelity audiophile performance, the 1MORE Quad Driver earphones come highly recommended. 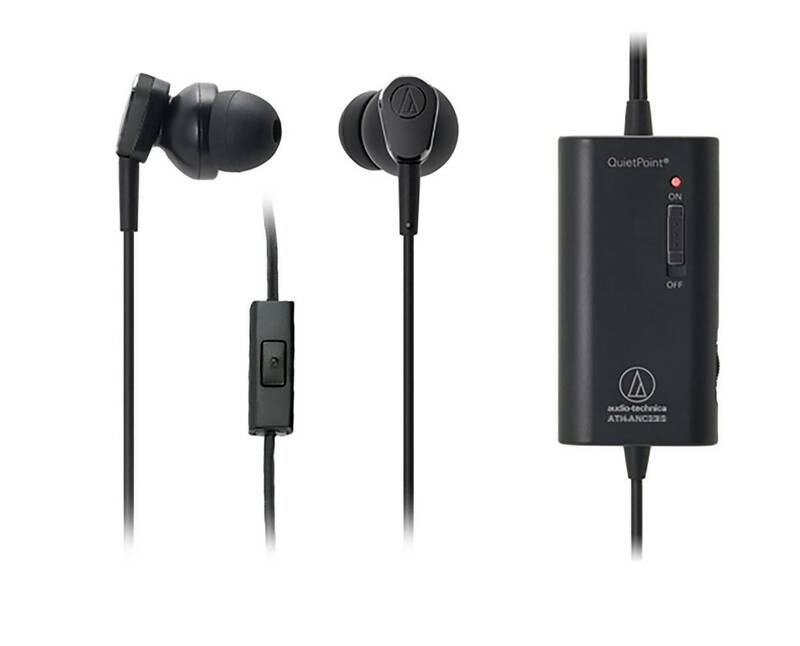 The Audio-Technica ATH-ANC33iS are some of the best earphones which can reduce distracting background noises by up to 90% while offering superior sound quality. It works great for listening to music and audiobooks and podcasts with crystal clear sound performance. The ATH-ANC33iS is engineered to create a comfortable listening environment in areas with background ambient noises. The ATH-ANC33iS comes with innovative ANC circuitry which delivers clean audio signal in noise cancelling mode without any white-back noises. It has an ultra-compact in-ear adesign which is ideal for travel and soft interchangeable ear pieces which provide a custom fit. If you are looking for one of the best earphones with a sleek and modern design, the ATH-ANC33iS is a great choice. The ATH earphones come with comply foam tips which provide a comfortable seal over the ears to improve noise isolation and retention. We also liked the fact that the ATH-ANC33iS comes with in-line microphone and controller for answering calls and controlling music. The microphone on these noise cancelling earphones has an omni-directional pickup pattern and is designed for hands free calls without any background interference. Overall, the Audio-Technica ATH-ANC33iS is one of the best noise cancelling earphones we have tested and highly recommend them. The sound quality of the ATH-ANC33iS noise cancelling earphones is very good, with a wide frequency response from 20 Hz to 20 kHz. These earphones have a quiet point active noise reduction up to 20 dB and a sensitivity of 105 dB and an impedance of 32 ohms. It comes with 13mm drivers that provide crystal clear sound reproduction with crisp highs, detailed midranges and smooth bass response. Listening to music podcasts and audiobooks on these earphones was a very enjoyable experience; you can hear every single detail in the recording without any issues. Music performances also sounded crisp with a good level of midrange frequencies – the highs are detailed without sounding too harsh and the bass is well-balanced. We were able to crank up the volume to maximum levels on the ATH-ANC33iS earphones without hearing any distortion. The ATH earphones come with a QuietPoint control module which creates a noise-cancelling wave that is 180 degree out of phase with ambient noises that acts as a “noise eraser” and cancels annoying background noises. We did not hear any static sounds while operating the noise cancellation functionality; it greatly reduces the background hum of engine noises on a plane or while travelling. 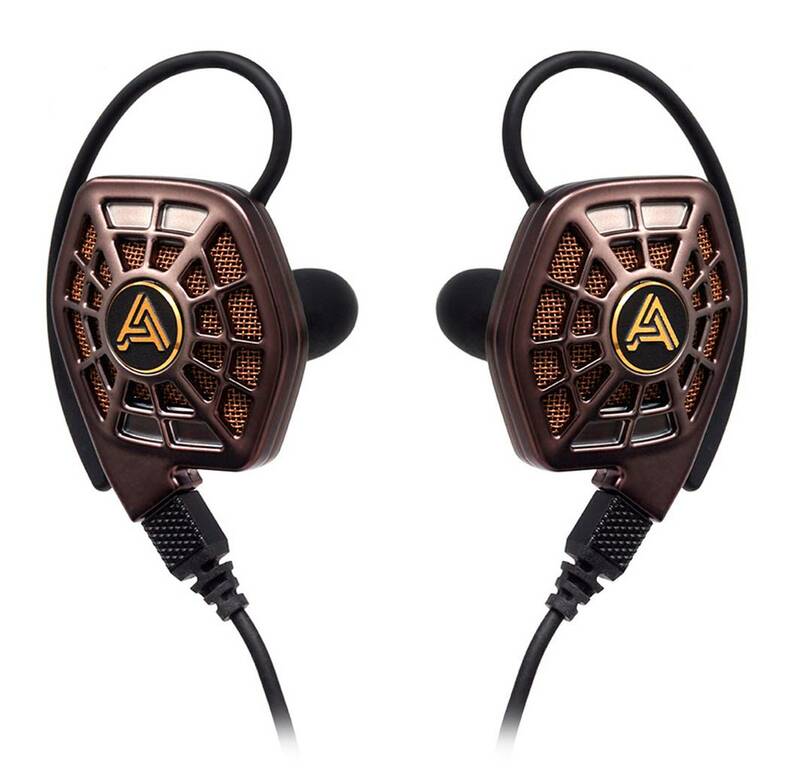 If you are looking for a pair of earphones that can cancel up to 90% of background noises effectively for a quiet listening experience, the ATH-ANC33iS are a great choice. The ATH-ANC33iS earphones are sleek and well-designed, and fit ergonomically into the ears without causing any discomfort. The earphones feature an inline microphone and controller for answering calls and controlling music on the go. The microphone controller supports smartphones, iPhones, iPads and compatible devices. These earphones are designed to be compact and ideal for travel. The QuietPoint control module offers an on/off switch, volume control and clothing clip. We also liked the fact that the manufacturer provided soft interchangeable ear pieces (small, medium and large) which provide a customized fit. These earphones operate on AAA batteries and can last for up to 60 hours of continuous music playtime on a single charge. The earphones use a 3.5mm auxiliary input cable with mini stereo plug and works passively even without battery. The driver diameter of these earphones is 13mm and has a sensitivity of 105 dB. The entire package comes with the ATH noise cancelling earphones, airline adapter, AAA battery, protective pouch, comply foam tips, and 3 sets of ear pieces. The Verdict? The ATH-ANC33iS are some of the best earphones that provide a comfortable listening experience while cancelling up to 90% of background noises. The sound quality that we got from these earphones is crystal clear without any distortion – you can hear vibrant music notes and crystal clear vocals from podcasts and audiobooks without any static interference. The earphones also work without battery and support 3.5mm auxiliary connection. The frequency range on the ANC33iS is 20 to 20 kHz which is very wide and can reduce up to 20 dB of background noises. It comes with innovative ANC circuitry which delivers exceptionally pure audio signal in noise cancellation mode. We liked the fact that these earphones are ultra-compact in design and ideal for travelling. The QuietPoint control module offers an on/off switch, volume control and clothing clip for easy portability. It also comes with soft interchangeable ear pieces which provide a custom fit. If you are looking for some of the best earphones that can provide full-range sound performance, the ATH-ANC33iS are a great choice. The Betron YSM1000 are some of the best earphones with strong stereo and bass driven sound. These earphones provide powerful bass enhanced sound with superb musical detail and good volume, and are compatible with MP3, iPod, iPhone, DVD and CD players and portable gaming systems. They come with an in-ear sound isolating design to hear your music without interruption, and block out external noises for a comfortable listening experience. These metal earphones have a pleasing design, with beautiful transparent sleeve that protects the wiring cord. The bass on these earphones punches deep and adds a layer of depth to music performances with a frequency range of 20 Hz-20 kHz. We also liked the fact that these earphones comes with a built-in microphone which allows you to take calls on the go. The noise isolation technology allows you to be fully immersed in the sound while blocking outside ambient background noises. The 3.5m Connector is plated in gold, making it highly resistant to corrosion or oxidation which improves durability. The earphones also come in a stylish rubber carry case, which keeps the earphones safe and clean. If you are looking for some of the best earphones for music, the Betron YSM1000 is a great choice. The sound performance of the YSM1000 earphones is crystal clear, with great attention to detail and vibrant vocal reproduction. The sound quality on the YSM1000 is not as flat as we expected, and has more of a V-shaped sound signature which emphasizes the bass and highs. When we tested these earphones, we found that the bass is decent and tight, and the midranges are clear and well-defined. The highs on the YSM1000 earphones are crystal clear although they do lack a little sparkle at high volume levels. The timbre ranges on the YSM1000 are nice and clear and can bring out subtle details in the music. While the bass performance on the YSM1000 is decent, it does not sound overwhelming or muddy into the midrange frequencies. You can definitely still hear the music within the lower frequencies. These earphones have a wide frequency range from 20Hz – 20 kHz which allows you to hear a wide spectrum of details in the sound. Music genres such as rock and hip-hop sounded very punchy and tight on these earphones, and you would be able to appreciate the finer details in the music on the YSM1000 earphones. The Betron YSM1000 Earphones have a sleek and aesthetic appearance with red and blue colors to differentiate between right and left earphones. It has thick cables which improves the overall durability of the YSM1000 earphones. The 3.5mm connectors are also gold-plated to prevent oxidation and improve sound conductivity. The build quality of these earphones is really good and features transparent sleeves which hold the wiring. We liked the fact that Betron earphones come with 3 sets of silicon earphones and a set of memory foam earphones which provide different customization wearing options. The earphones are designed to be very comfortable to wear and you can listen to these earphones for hours on end without feeling fatigued. The YSM1000 also comes with a stylish carrying case for easy portability and travelling. The Verdict? The Betron YSM1000 are among the best earphones with good sound quality and detailed sound performance. It has a sleek and aesthetically pleasing design, and comes with rubberized earphones which feel very comfortable to wear for extended periods of time. We also liked the fact that the YSM1000 earphones come with three sets of silicone earphones and a single set of memory foam earphones for extra comfort. These earphones are designed to be very durable and have gold plated connections for high quality music transmission. They are also comfortable to wear and provides lasting comfort while reducing ear fatigue after prolonged periods of listening. We liked the lightweight design and portability of these earphones; it also comes with a travel case for easy storage. On the whole, the Betron YSM1000 are some of the best earphones that deliver a great combination of sound performance and comfort and we highly recommend them. The MindBeast Super Bass are some of the best earphones with a sleek design and extended bass response. 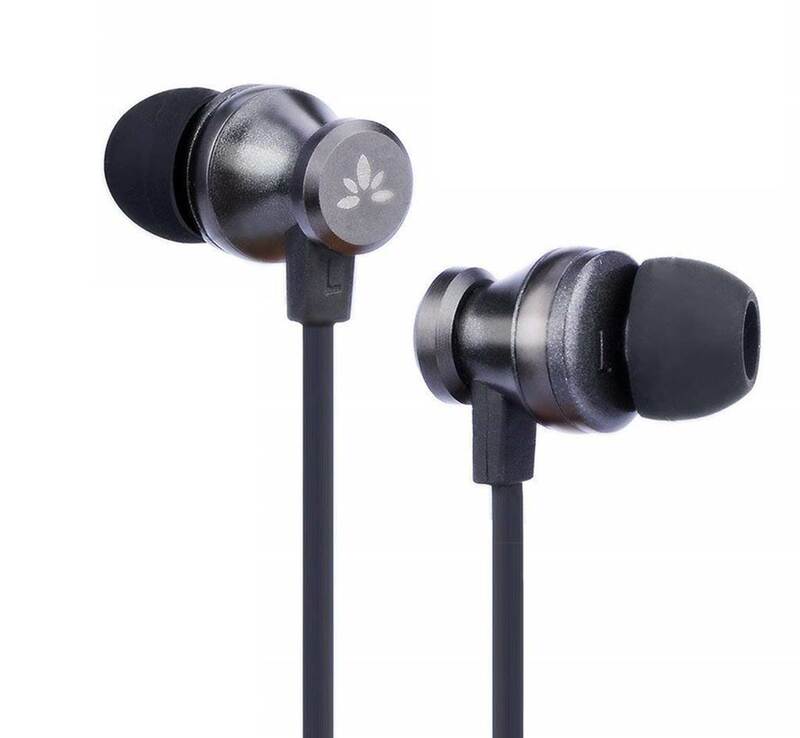 These earphones are designed to reduce up to 90% of ambient background noise and provide a very comfortable fit – it comes with a metal shell and a connection joint that prevents sweat from leaking into the earphones. These earphones fit in your fits comfortably and securely, with 3 pairs of small, medium and large sized soft silicone replacement earphones for you to choose from. These earbud are built for universal compatibility with a 120 degree 3.5mm audio jack that works with iOS and android devices, as well as PS4 gaming devices. The earphones also come with a built-in microphone which provides allows for hands free calls and voice control over your mobile devices. We also liked the fact that the Mindbeast earphones come with a leather zippered portable case which is waterproof and dirt-proof. The built-in mesh bag keeps the 5ft extension cord organized and perfect for travel. Overall, if you are looking for some of the best earphones with crisp sound quality and a very sleek design, the MindBeast earphones comes highly recommended. The Mindbeast Super Bass earphones provide crisp highs, detailed midranges and pretty accurate bass response. The timbre ranges on the earphones sound smooth and detailed, and music genres such as jazz and classic rock sounded very detailed and accurate. The sound signature on the Mindbeast earphones is best described as well-balanced with a slightly bass-leaning signature and we thoroughly enjoyed listening to these earphones. You can also practically crank up the volume on the Mindbeast earphones without hearing any distortion which is a great added plus. The bass on the Mindbeast earphones hits hard and goes pretty deep, which adds plenty of texture and layers to the music. The timbre and treble ranges are crisp and smooth and we did not hear any harshness at high volume levels as well. In terms of sound performance, we would say that the Mindbeast earphones ranks close to top among all the earphones we have tested. The Mindbeast earphones have a sweatproof and lightweight design which make them very comfortable to wear. 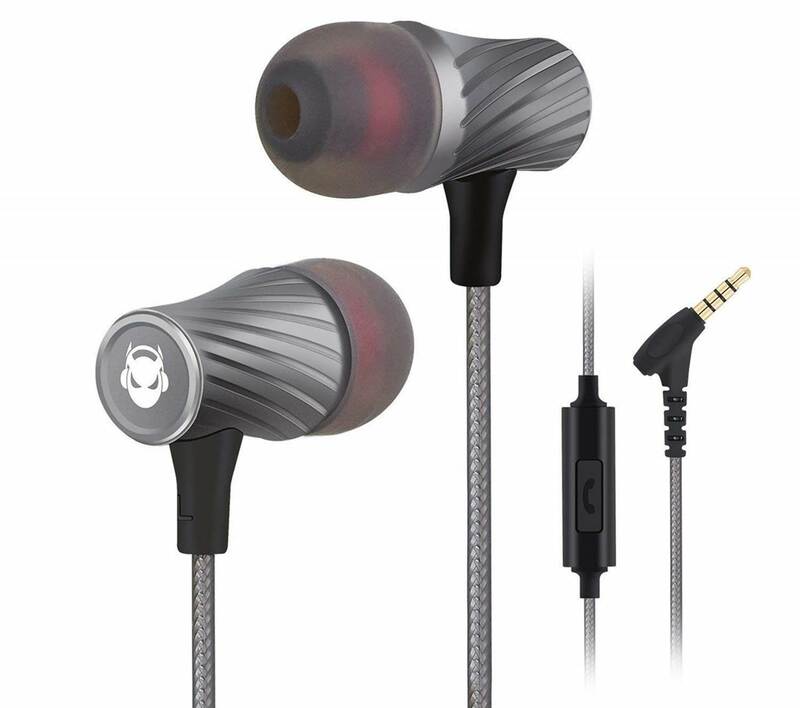 It features a tornado shaped metal-shell design that allows the earphones to stand out from the crowd. The earphones also have seamless connection joints which prevent sweat from leaking into the inside of the earphones. The ear-tips that come with these earphones provide good sound isolation and reduces ambient background noises, allowing you to listen to the music without any distractions. The earphones are designed with universal compatibility with 120 degree 3.5mm audio jack which is compatible with both iOS and android devices, as well as Xbox and PS4. The earphones come with a leather zipper portable case which allows for easy portability on the go. The Verdict? The Mindbeast earphones are some of the best earphones we have tested that delivers punchy sound performance and have a unique metallic tornado design. The sound quality on the Mindbeast earphones is exceptionally crisp and crystal clear, with a well-balanced sound signature that has a good emphasis on the lower-midrange and bass frequencies. Music genres such as electronic dance music and rock and hip-hop sounded tight and deep, and we thoroughly enjoyed the sound performance of these earphones – the earphones do not produce any distortion at high volume levels. We liked the fact that the manufacturer also provided eartips and earphones of different sizes to choose from for a comfortable fit. 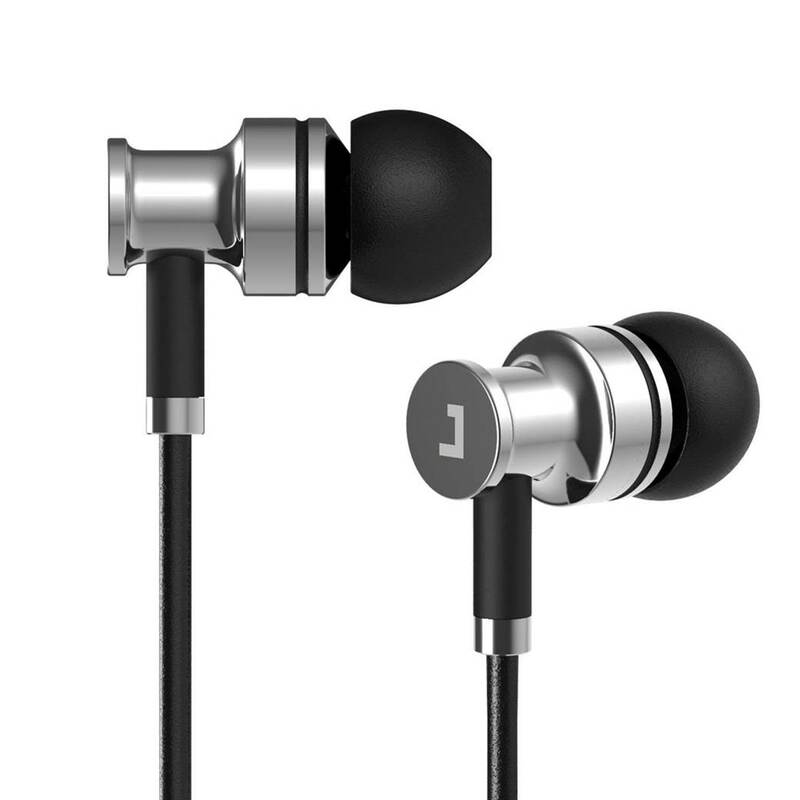 The earphones also provide relatively good sound isolation and blocks outside ambient background noises by up to 90%. It also comes with a zipper portable casing for easy portability. If you are looking for some of the best earphones for music, the Mindbeast earphones are a great choice. The Mpow Flame are some of the best earphones available that deliver wireless Bluetooth streaming, crisp sound performance and IPX7 water-resistance. These earphones are lightweight and easy to wear around – they are great for running, jogging, hiking, gym and other fitness activities. The sound performance that we got from the Mpow Flame earphones was really crisp and clear – they deliver much richer bass and detailed midranges, which makes listening to bass-heavy music genres really enjoyable with these earphones. The Mpow earphones also come with a CRS chip and Bluetooth 4.1 for consistent and highly quality music streaming. It comes with a built-in battery that delivers between 7 to 9 hours on a single charge and takes only 1.5 hours to charge. The headphone also comes with memory foam ear tips and a cord clip for a comfortable custom fit. It’s one of the best earphones that delivers great value for money and definitely comes highly recommended. The sound performance of the Mpow Flame earphones was much better than we expected. It produces crystal clear stereo sound with high definition details and a good amount of bass. The sound quality is very detailed and delivers nice highs, good levels of midrange and treble response. Listening to bass-heavy music genres such as electronic dance music or rock and pop were delightful experiences with the Mpow workout earphones. The Bluetooth connectivity is strong and consistent, which means you do not get the static interruptions while working out at the gym or running. The audio does not cut off even when placed inside your pocket or backpack. You can also crank up the volume reasonably loud on these earphones without any distortion which is great. The bass on these earphones hits hard and really gets you into the mood for workouts to the beat of the music. The headphone also allow you to take hands free calls on the go with crystal clarity with no issues hearing the person from the other end of the line. In terms of sound performance, it is difficult to go wrong with the Mpow Flame earphones. The Mpow Flame has a really sleek and lightweight headphone design. It delivers a good battery life of 7 to 9 hours with decent volume. 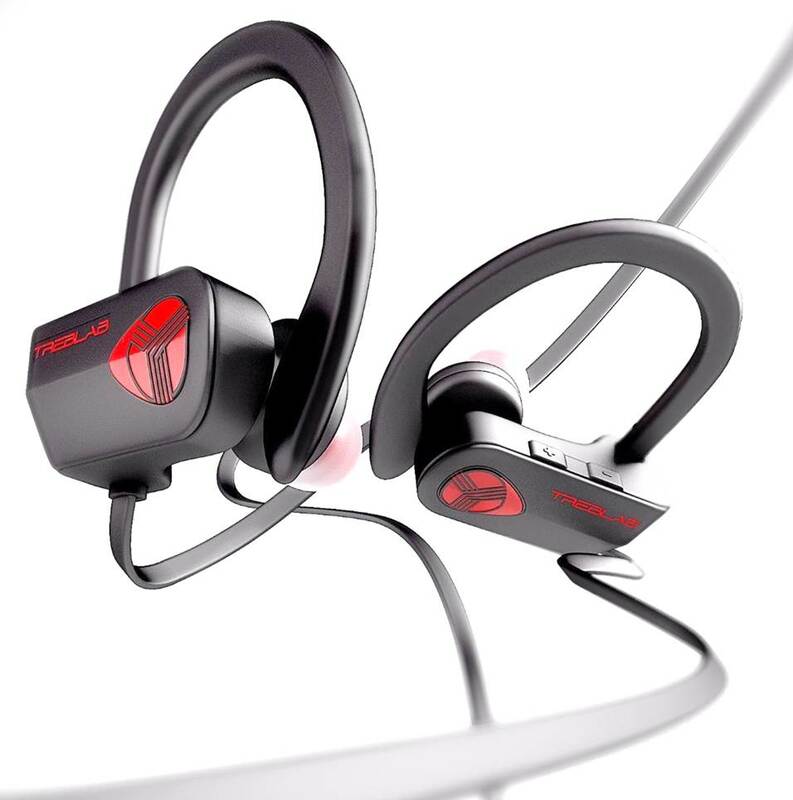 The earphones have a really firm and secure design and does not fall out of the ears while doing strenuous workouts. Pairing the Mpow Flame with your mobile device is fast and efficient, and the mobile devices automatically pairs with the headphone when switched on. We liked the fact that the headphone comes with a set of regular ear tips and memory foam tips which provide a good seal over the ears and some degree of noise isolation. The Bluetooth range on this headphone is about 30-40 feet which is pretty good, and works well in the gym without any issues. 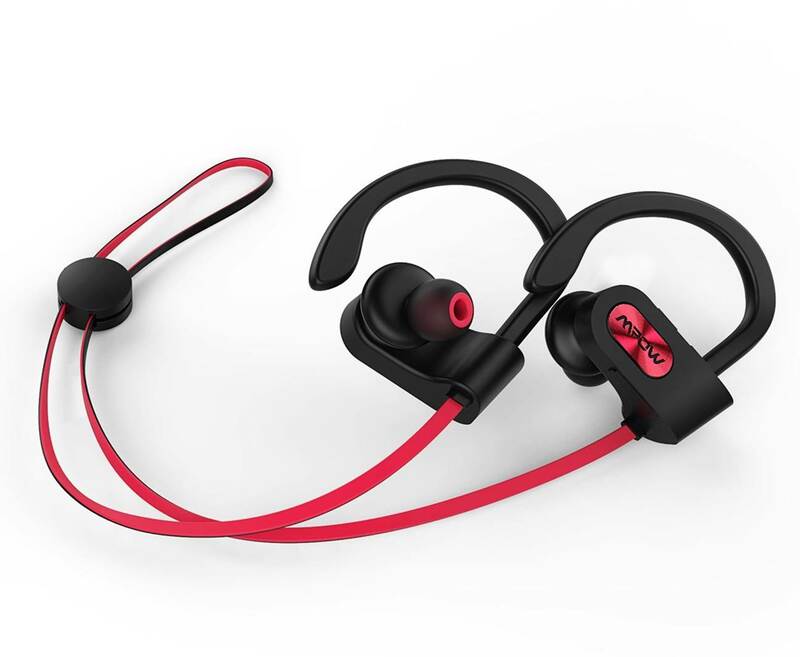 The headphone is IPX7 rated sweatproof which means that you do not have to worry about these earphones getting drenched in sweat or water while running or working out. They come with a nice ergonomic design and comes with soft silicone ear hooks for a secure fit. The gym carrying pouch and cord clip that comes with the headphone is particularly useful for running. The only downside to the headphone is that the USB cable is short (around 10 inches long) and are slightly bulky, which may take some time to get used to. The entire package comes with the workout earphones, 3 sizes of regular ear tips, memory foam tips, cord clip, carrying case and a micro USB cable. The battery capacity is approximately 100mAh with a charging time of 1.5 hours and a standby time of 220 hours. The headphone uses Bluetooth 4.1 together with A2DP and AVRCP wireless profiles. The Verdict? The Mpow Flame is one of the best earphones that deliver a great combination of sound quality, battery life, lightweight design and IPX7 sweatproof resistance. The Bluetooth connectivity and wireless streaming on this headphone is consistent and of good quality. The sound performance is really nice, with crisp treble ranges, smooth midranges and very good bass. The bass response on this headphone hits hard and really gets you in the mood for exercising with nice punchy beats – electronic dance music and rock and pop music sound very crisp and well-defined. The battery life lasts a good 7 to 9 hours of continuous music playtime on a single charge; it also comes with Bluetooth 4.1 for high quality music streaming and automatic connectivity. The earphones also come with a carrying case, ear tips and memory foam ear tips for extra comfort and security, together with a cord clip. Overall, they are among the best earphones we have tested and come highly recommended. The Bluephonic earphones are some of the best earphones with a really sleek and lightweight design with crisp HD sound performance. The earphones feature noise reduction technology with deep bass sound and optimized treble ranges for an enjoyable listening experience. It comes equipped with expandable memory foam ear bud tips which block out external noises and provides a comfortable listening experience. The earphones also come with built-in Bluetooth and a battery life that provides up to 8 hours of continuous music playtime. The earphones are IPX7 waterproof and sweatproof – this allows you to use the earphones practically anywhere outdoors without any issues. They are great for running, cycling, working out or for gym use. The Bluetooth range on the Bluephonic earphones is approximately 33 feet which is decent. Overall, the Bluephonic earphones are some of the best earphones you can find in this category and we highly recommend them. The sound performance of the Bluephonic earphones is crisp, clear and accurate. It has a really good balance between the highs, midranges and bass performance with deep low notes. Every music soundtrack that we played through these earphones sounded refined and detailed, with good attention to detail. Listening to these earphones while working out at the gym was enjoyable and fun – the volume can also get really loud without sounding muddy at close to maximum volumes. The bass on these earphones hits hard and emphasizes deep low punchy notes with some impact. That being said, we found that the earphones may lack the highs in some music genres such as vocal and instrumental music performances. They are really nice earphones to have if you prefer music genres such as rock, hip-hop and electronic dance music with punchy beats to keep you going through the workout and exercise. Despite the lack of highs and treble on this headphone, the amount of volume that you get with the Bluephonic earphones is pretty decent. 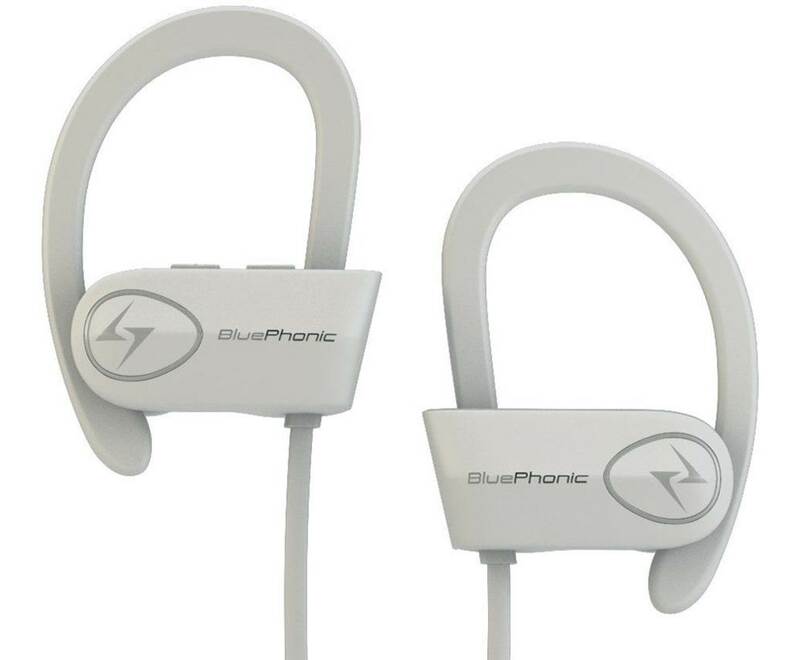 The Bluephonic earphones have a comfortable and lightweight design – they look really sleek and are comfortable to wear. These earphones fit tightly into the ears securely and do not come off easily while working out or during vigorous exercise. The headphone also comes with a built-in microphone which you can use to take hands free calls on the go. The battery life on the headphone lasts a good 8 hours of continuous music playtime on a single charge. It features Bluetooth 4.1 CSR with apt-X sound compression and passive noise cancellation. The Bluetooth on this headphone is consistent and stable and has a signal range of 33 feet in open spaces; it also supports multi-device connectivity with in-ear voice prompts. The entire package comes with 2 micro USB chargers, a travel case, 3 sizes of earphones to choose from including memory foam to maximize noise reduction. The earphones have a full IPX7 waterproof design which means that you can practically take it outdoors in wet environments without any issues. The Verdict? The Bluephonic earphones are some of the best earphones you can find with a really sleek and modern design with IPX7 waterproof resistance. These wireless Bluetooth earphones provide really good sound performance with decent highs, smooth midranges and bass response. They are really good earphones to have for rigorous workouts including gym and sports use. The earphones also comes with comfortable silicone ear hooks which makes wearing them very comfortable; they also come with interchangeable earphones which allows you to get the right fit and seal over your ears. It also comes with a built-in microphone for hands free calls and CVC 6.0 noise cancellation technology. The Bluetooth connectivity on this headphone is consistent and stable and we did not experience any static interruptions while streaming music from our mobile devices. Overall, they are one of the best earphones we have tested and are definitely worth a closer look. The TREBLAB XR500s are some of the best earphones you can find that deliver really crisp and superb sound performance with a secure fit. These earphones are really lightweight and comfortable to wear, and come with full IPX7 sweatproof design which allows it to be drenched in sweat without any issues. These earphones come with expandable foam ear-tips that block outside noises which allow you to focus on your workout and music. The XR500s have very long battery life that delivers up to 9 hours of continuous music playtime on a single charge. The connect to mobile devices such as iPhone, Android and iPad devices and also feature hands free call ability – simply touch a button on the headphone to answer or hang up. These earphones come with Bluetooth 4.1 for high quality music streaming and deliver crisp treble ranges with good bass response. They are the ideal earphones for running due to its completely waterproof and sweatproof design together with its ear hooks for a secure fit. If you are looking for one of the best earphones for workouts and gym, the XR500s are probably your best bet. The sound quality from the XR500s is really good for a set of workout earphones. The sound quality is even better due to the Bluetooth 4.1 streaming and apt-X wireless sound compression. The treble ranges on the XR500s are crisp and well-defined, while the midranges are smooth and pleasant to listen to without sounding shrill. The lower notes and bass frequencies hits hard and really adds a punch to music genres such as electronic dance music and rock. The bass performance really gets you pumping and into the mood for running. Vocal performances sounded crystal clear and nice to listen to, and instrumental music also comes with decent stereo separation. You can also turn on the EQ settings on your phone to adjust the sound according to your preferences, although the headphone itself sounds great even with the EQ setting turned off. The volume on the XR500s gets pretty loud, although some distortion can be heard closer to maximum volumes. Overall, the sound performance is solid, consistent and the bass hits hard which is a nice added touch. The XR500s have a really sleek and modern looking design. They are very comfortable earphones and can stay inside your ears for hours on end without any issues – it also comes with soft silicone ear hooks which help to stabilize the earphones while running or doing vigorous workouts. The headphone comes with a flat cable which really helps with keeping wire tangling to a minimum; the cable is well coated and does not feel sticky when soaked in sweat, which is a really good feature. The headphone also comes with a built-in microphone which allows you to take hands free calls on the go while doing workouts. The battery life on the XR500s is really good and lasts around 8 to 9 hours of continuous music playtime depending on the volume settings. The headphone also comes with power/pause/play buttons which allow you to adjust the music without having to reach for your phone. The Bluetooth pairing works like a charm and we did not experience any dips in sound performance while running, although there can be some lag if you tilt your head too much while wearing the earphones. The signal range is good for up to 38 feet long and supports A2DP and AVRCP connection profiles. The Verdict? The TREBLEB XR500s are one of the best earphones for running with solid sound performance, deep bass and a secure fit on the ears. These earphones are lightweight and comfortable to wear for extended periods of time – they give you the freedom to move and exercise without having to worry about them falling out. The earphones also come with silicone ear hooks that feel pretty comfortable on the ears. The entire headphone is IPX7 sweatproof and ideal for gym workouts and exercises. The built-in battery delivers up to 9 hours of continuous music playtime with a charging time of up to 2 hours. It also features Bluetooth 4.1 CSR technology with HSP, A2DP and AVRCP profiles for high quality music streaming. In terms of sound performance and comfort, the XR500s are definitely one of the best earphones available that are hard to beat. The Jaybird X2 Sport headphone easily tops our list of the best earphones for running and workouts. These earphones produce premium bluetooth audio for skip-free music outdoors, including 8 hours of superb battery life and allowing you to take calls with complete remote controls. Whether it is running at high speed or up the hilly road, this headphone will securely fasten to your ears without any need to adjust them. We were also happy about the practical design of over-the-ear clips – you can use it when you are running and/or alternatively tighten it around your neck when you are doing some leisure activities or travelling on a long-haul flight. The clips securely fasten around the ears and prevent the earphone tips from flopping around and coming loose. One tip to enhance your experience while using the Jaybird X2 headphone would be to use the silicone earphones included in the package. It even comes with a lifetime sweat proof warranty, which is the assurance from the manufacturers that you are getting one solid piece of audio equipment. 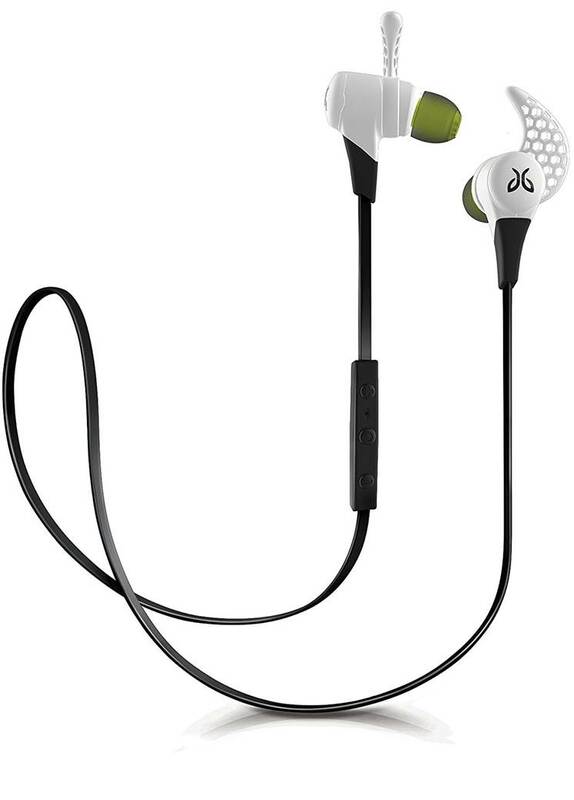 The Jaybird X2 allows for an amazing 8 hours of playtime for a single charge. If you are an avid runner who runs for 7-8 miles daily, you could use the headphone for about a week without charging it. If you are training for a half marathon, the new iOS features the battery life on the iphone which is pretty handy. The X2 is designed based on the 6mm traditional speaker driver (versus a balanced armature design). Furthermore, there is a huge range of colors that you can choose from – the conventional white or black, fiery red, cool blue or the alpha green. In terms of audio performance, the audio produced can go very loud (loud enough to hurt your ears). It produces extremely clear and crisp sound. Connecting the Jaybird X2 to your bluetooth device is easy, simple and almost instantaneous. 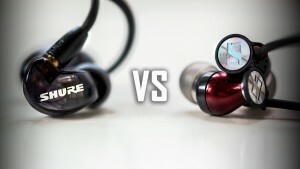 In some quick swapping back and forth tests, we found that the X2s do have clearer sound and deeper bass compared with other running earphones, and are definitely more than sufficient to play music while on the go. Finally, the X2 comes in one convenient package – with premium sport memory foam ear tips for extra comfort, patented secure-fit ear fins, friction-fit silicone sport carrying case, silicon ear tips and the standard charging cable. The X2 however is not absolutely sound-proof; this feature is intended for safety purposes for runners to hear on-coming traffic. One tip to maximize clarity of the sound is to get the right earbud size to fit your ear. The Verdict? 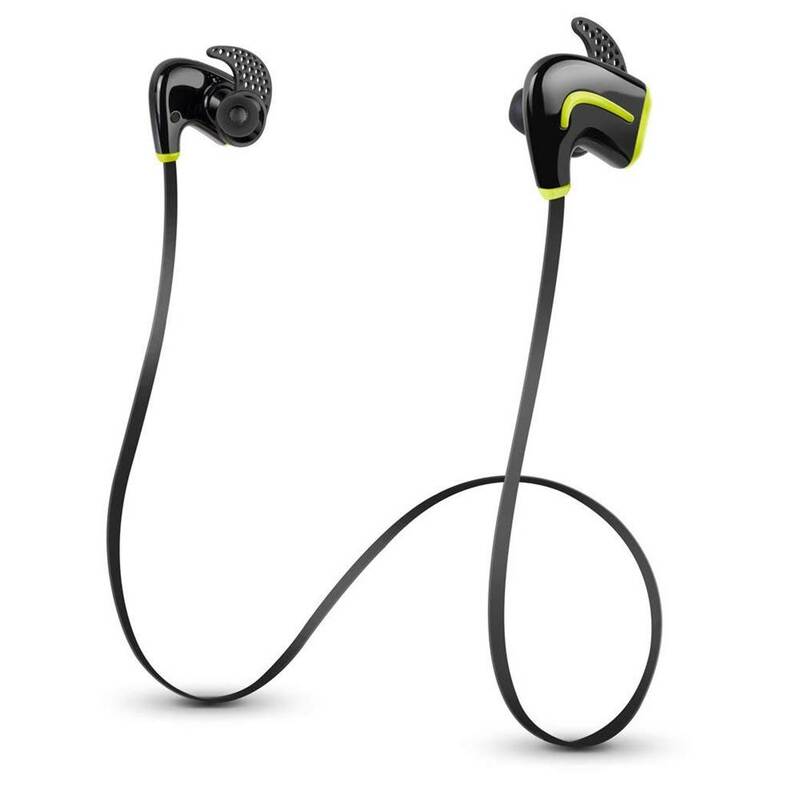 The Jaybird X2 are a set of premium and undoubtedly one of the best earphones for running at this price range. It qualifies as one of our top choices due to its sturdiness and durability, premium memory foam ear tips and lightweight design, which allow for maximum comfort. The sound performance is further boosted by a stunning 8 hour battery life, which is arguably one of the best for wireless earphones in its category. Furthermore, the X2 earphones are very comfortable to wear and you can listen to music for hours on end without feeling any fatigue. Overall, the Jaybird X2 are some of the best earphones you can find and we definitely recommend them. The Jabra Sport Coach Wireless Bluetooth Earphones is one of the best earphones for running due to its specialization for cross training and its combination with fitness gadgets. The most unique package of the Jabra Sport Coach lies in the cross training app where you can actually choose from more than 50 exercises integrated into the earphones. The exercises range from the beginner level to the advanced level. We have personally tried some of the exercises and were quite impressed by the fitness gadgets built in this earphone. One feature that particularly stood out is when you combine training with running, there is a sensor called Track Fit motion sensor that will measure the distance, pace, cadence, steps and calories burned. The app also tells you when to rest and switch to another exercise. You also have the options of customising your own exercise. Straight out of the box, the first thing we noticed about the Jabra Sport Coach Earphones is that it comes with multiple sized ear gels and ear wings to create a personalised fit. The earphones fit snugly into the ears without any discomfort. These sporty earphones gave us the impression that it is designed to propel us through intensive and rigorous workout and true enough, it did not disappoint us at all. The headphone stayed securely on the ears and did not fall out when we were doing intensive workouts. One tip to optimize your listening experience is to try different sizes of ear gels and ear wings for the perfect fit. The Jabra Sport Earphones are available in three distinct colors (yellow, blue and red), which are all stunning and attractively designed. 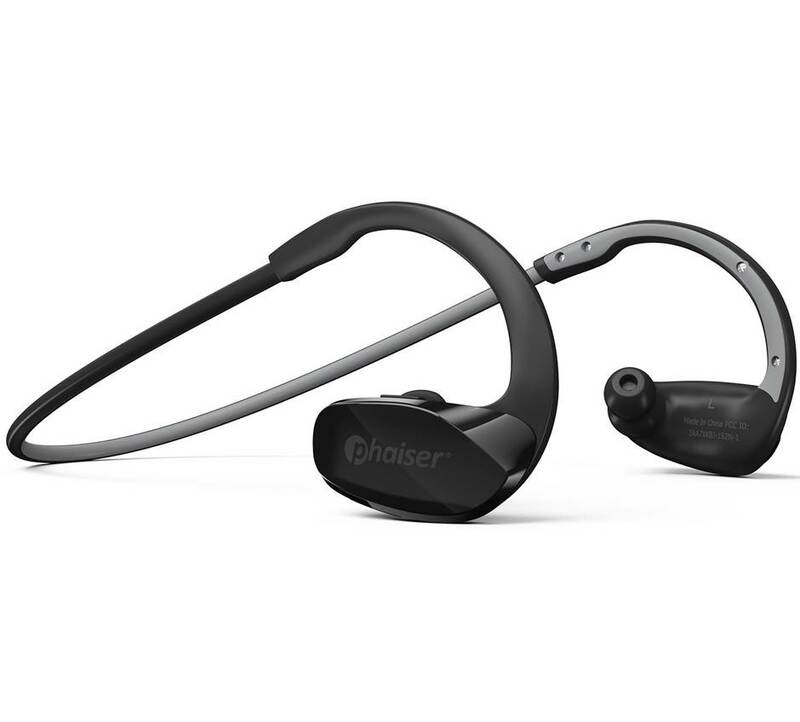 Furthermore, these wireless running earphones are also IPX5 rated which means it is built towards the US military standard and shields the headphone from rain, shock and dust protection. This is essential for runners who wish to track through difficult terrain especially in rainy seasons. The Jabra Sport is portable, durable and is the perfect companion for the most demanding environments. The Verdict? The Jabra Sport Coach Wireless Bluetooth Earphones is easily one of the best earphones for running and intensive workout. If you are looking for something techy and rugged, it doesn’t really get better than this wireless headphone with its unique design coupled with an effective integrated cross training app. 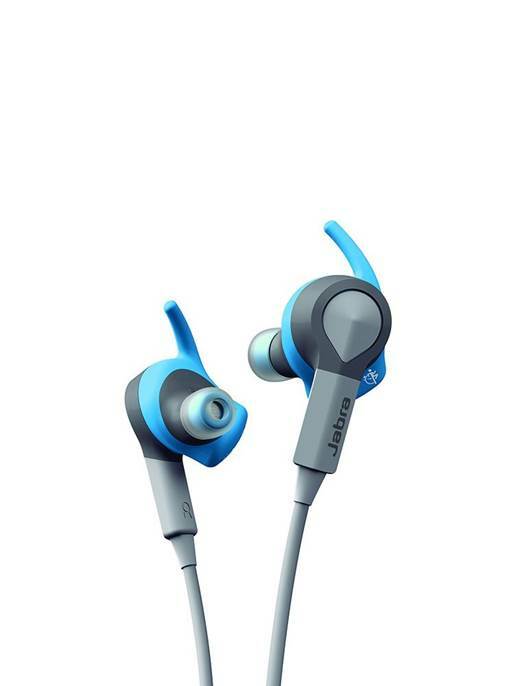 The sound performance of the Jabra Sport Coach is superb too, making this one of the best earphones on this list. 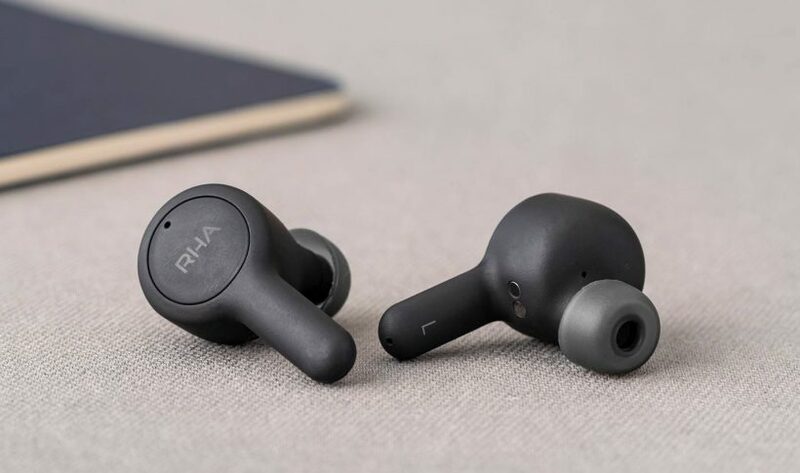 The Photive Wireless Bluetooth Earphones are a pair of sturdy and incredible earphones that provide an excellent sound quality with the highest rated waterproof design (IPX6). Now available at a very good budget price point, this headphone easily tops our list for one of the best earphones for running. Straight out from the box, what we found were the earphones, a charging cable that is 21 inches long and multiple selections of silicone earphones in three distinct sizes – small, medium and large sizes to ensure maximum fitness. Conveniently, there were also 2 cord management clips to fold our earphones to prevent us from trampling on our long cords and also a clothing clip to fasten the earphone onto our shirt. When we tried the Photive Wireless Bluetooth Earphones, we were amazed by how well it fits into the ears and how comfortable it felt – we did not have to readjust the ear hooks at all. Each ear hook has a rubber coated wire that can be moulded for a customized fit on the ears, which is really a nice added touch. A tip to snugly fit this pair of headphone is to gently bend, push and shape the ear hook to make them fit on the ears. We were incredibly impressed by the Photive Wireless Bluetooth Headphone’s sound quality. It delivered an astonishing mix of sound quality and to our surprise, its bass is considerably deep. The battery life can last for 6 hours and it only took 2 hours to fully recharge it. Furthermore, the Photive Wireless Bluetooth Headphone prides itself in its resistance to water. It is specified to be resistant towards water to IPX6 level where the headphone has been continuously sprayed with water for at least 3 minutes. This means that you can take the Photive earphones virtually anywhere and even on wet seasons. Pairing the Photive to your mobile device is easy; the earbud also has a small LED light that lights blue when it is on and flashes red when it is switched off. The Photive delivers amazing sound quality due to its advanced APTX sound and Bluetooth 4.0 technology which enhances the acoustic and deep bass. The convenient on-board controls on the Photive earphones allow you to answer calls, skip tracks and pause/play your music without the need to reach for your phone. The Verdict? The Photive Wireless Bluetooth Earphones are incredibly comfortable, uniquely designed and produce very good sound quality. It’s also sweat proof, and ideal to use as one of the best wireless earphones for running or working out. The Photive earphones travel well, due to a long-lasting rechargeable battery which means that you can spend more time listening to music and less time looking for an outlet. Overall, we really liked the look, fit and sound of these earphones and we highly recommend them. The Jayfi JA40 are some of the best earphones made of metal and designed to produce crystal clear sound. These full-metal earphones are built to emphasize the dynamic range of sound from the 9.2mm drivers, and deliver crystal clear highs, detailed midranges and deep bass performance. Their remote control and mic work with all standard smart devices allowing for quick calls and volume adjustment. The metal encasement is designed to be corrosion-resistant, anti-aging and more durable than traditional metal earphones. The JA40s are very comfortable to wear and have an ergonomic design that comfortable fits within your ears without causing any fatigue. Overall, the Jayfi JA40 are some of the best earphones that combine a clean design with superb sound quality and we highly recommend them. The Jayfi JA40 Earphones produce a sonic experience filled with clarity and precision. They are built with a pair of 9.2mm neodymium magnets that produce a dynamic range of sound. The full metal housing works with the magnets and emphasizes your favourite music at every volume level. We liked the fact that you can crank up the volume on the JA40 earphones without hearing any distortion – they are great for music with an emphasis on the timbre ranges such as classical and instrumental music. These metallic acoustic drivers are optimized to deliver a pleasing bass filled experience without sounding muddy. Though these earphones are crystal-clear they are not built for sound isolation, so they do not completely block outside noise. These stereo earphones are well balanced provide an optimized bass experience for modern genres of music. Overall, they sound very good and are handling a wide variety of music genres with detailed clarity. The Jayfi JA40 Earphones are in-ear earphones designed for style and durability. The earphones are fully encased in a CNC Aluminium Alloy that is designed specifically to be corrosion-resistant, anti-aging and durable. These high-quality materials provide a long-life span not found in cheap and tinny earphones. The metal design works with the 9.2mm magnets to enhance the full range of sound. These earphones also feature a controller and mic to take phone calls and adjust the volume. 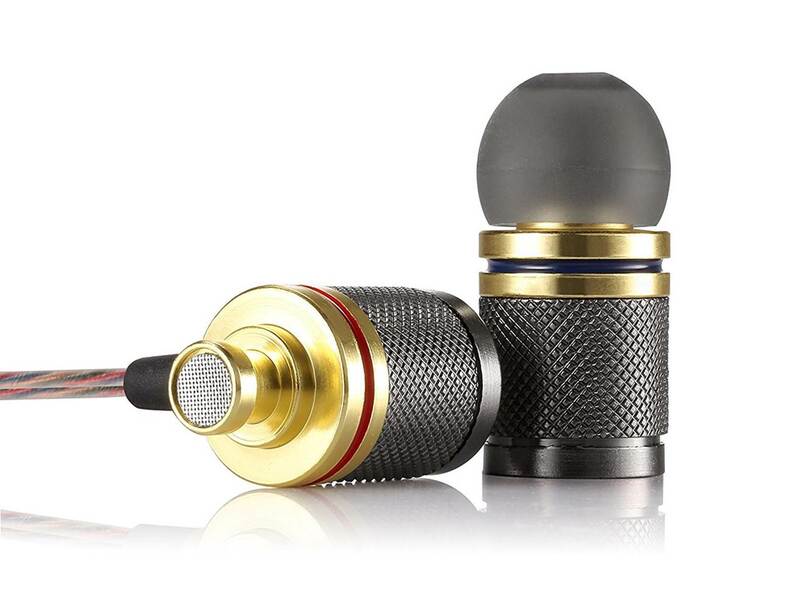 The 3.5mm audio jack is gold plated to ensure for high conductivity. Though it is a durable and smooth metal design it is not fully water resistant or weather proof, so they may not be the most ideal companion for intense workouts or stormy weather. They are also not fully sound cancelling so do expect to hear some background noise while wearing these earphones. That being said, they have a smooth ergonomic design which feels very comfortable in the ears. The Verdict? The Jayfi JA40s are some of the best earphones with a metallic design that provides a high-definition sound experience. The CNC Aluminium Alloy is designed tough, corrosion-resistant and anti-aging so they are can last you a long time. It also comes with a full-range acoustic 9.2mm neodymium magnet driver which produces music accurately and clearly without distortion. The metal design emphasizes sound and delivers a sound performance filled with optimized bass and clear highs. They also feature a mic and controller that works with all of your modern smart devices as well. The metal alloy is durable, but it is important to remember it is not weather grade tested and they do not have noise-cancelling technology for the more athletic listeners. Apart from this, the JA40s deliver really clean and smooth sound performance at any volume level without distortion. Overall, the Jayfi JA40s are some of the best earphones with a sleek metallic design, so don’t forget to check them out! The Symphonized XTC 2.0 in ear-earphones are a unique quality set of wired in-ear earphones made from real wood. These noise-isolating earphones are handcrafted from real wood and deliver a powerfully crisp sound experience while using the unique warm acoustic properties of wood to enhance the sound performance. The 3.5mm audio jack is gold plated for excellent conduction and the wood design allows for the ultimate resonance with its powerful set of drivers. They also feature 3 pairs of silicone earphones, so you can optimize them to your maximum comfort. The built-in controller and mic allow you to activate Voice Control from your smart devices or take phone calls. The sleek cord comes in multiple different colours that complements the wooden encasements and allow you to personalize your music listening experience. Overall, the Symphonized ZTC 2.0 are some of the best earphones that provide a unique design and warm listening experience while leveraging on the acoustic properties of its wood design. The Symphonized XTC 2.0 Earphones are designed to deliver a warmer sound signature and well-balanced highs. These in-ear earphones are noise isolating which allows you to be deeply immersed in your favourite music while blocking outside noises. The neodymium magnets provide a dynamic range of audio from the low-thumping bass to clear high vocals. The natural wood allows for maximum resonance for high fidelity sound so you can get a great attention to detail out of your favourite songs – classical and instrumental music sounded warm and crisp with very good attention to detail. You can hear the crisp timbre ranges in instrumental and piano notes, and it also provides some degree of soundstage which is great. The Symphonized XTC in-ear headphone design allows for superior acoustics without distortion at high volume levels. You will be able to pick up on sound details you missed in the past with these high-fidelity earphones. The Symphonized XTC 2.0 Earphones are uniquely designed to produce a warmer sound signature by choosing to build the encasements entirely out of wood. The use of wood allows for superior acoustics and has better durability than the average plastic housing. You can choose different coloured cords that work well with the natural-wood encasements that give them a style and flavor. These earphones also have a controller and mic built-in to answer calls or use voice activated features from your common smart devices. The XTC 2.0 also features 3 pairs of silicon earphones so you can fit them for maximum comfort. These earphones also include a carrying pouch for fast and easy access. The Symphonized XTC 2.0 also features a 3.5mm audio jack which is gold plated and highly conductive for high quality music transmission. The Symphonized XTC in-ear earphones have a very unique wood design that feels lightweight and comfortable, and looks aesthetically pleasing at any angle. The Verdict? The Symphonized XTC 2.0 are some of the best earphones that provide a unique wood sound signature and a sleek wooden exterior. The in-ear earphones come with precision neodymium magnets which produce full-range sound quality for clear, high-fidelity listening. The wood design emphasizes the lower frequency ranges in the music and provides unique warm acoustics that plastic or metal cannot imitate – instrumental and classical music sounded very well-defined and crisp. These in-ear earphones also come with several different coloured cords allowing you to match your style. They also feature a built-in mic and controller for your calling and voice control convenience. The XTC 2.0 also has 3 pairs of silicone ear pieces so they can be customized to your need. 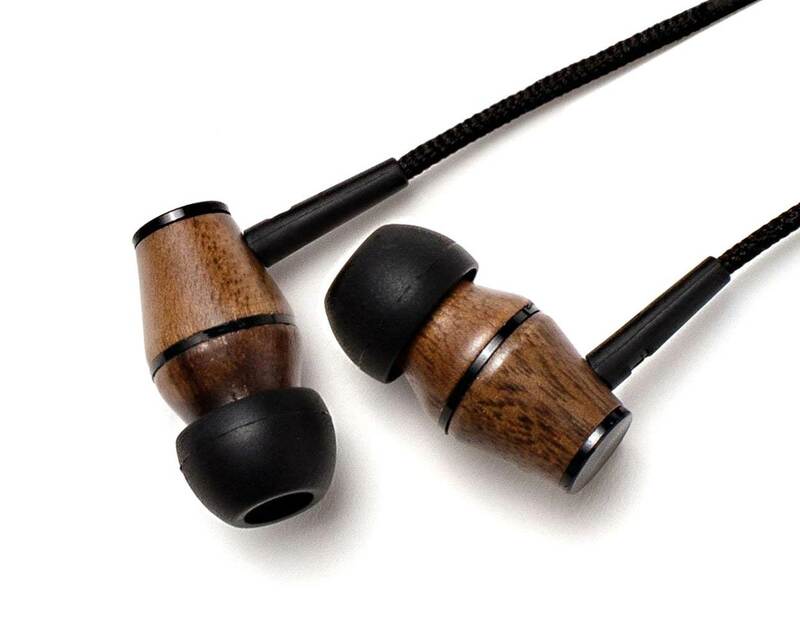 The wooden design is built for excellent resonance, but it lacks the durability of other materials and it is not weatherproof tested, so they may be better earphones for listening to music indoors or on-the-go in the city. Overall, the Symphonized XTC 2.0s are some of the best earphones that provide natural and warm sound signature with a sleek wood exterior design. The Avantree earphones are some of the best earphones with noise isolating and a metal casing ear-tip design. 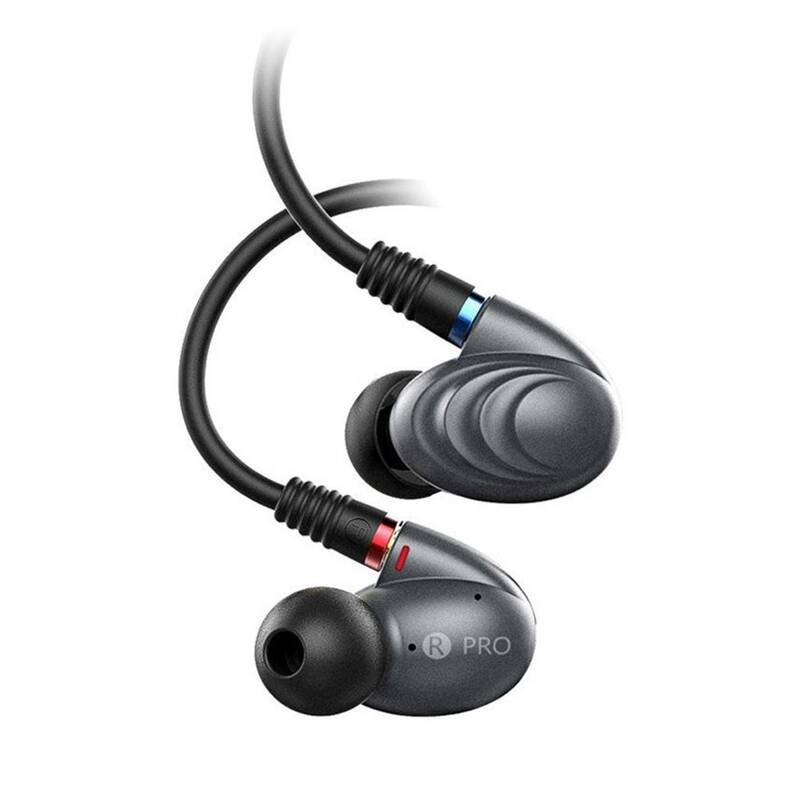 These in-ear earphones come with dynamic drivers that provide a balanced sound experience and crystal clear vocals. The sound quality that you get with these in-ear earphones is crystal clear, with dynamic sound ranges and deep bass performance. The Avantree in-ear earphones are designed to be lightweight and come with ear-tips of different sizes to choose from for maximum comfort. It also comes with built-in volume controls and a hands free microphone for you to take hands free calls on the go. We also liked the fact that it comes with a 3-foot or 12-foot cable for extra distance where required. Overall, the Avantree is one of the best earphones that deliver full-range sound quality and are definitely worth a closer look. The Avantree Noise Isolating Wired Earphones are a pair of good sounding earphones that provide superb sound performance. The dynamic drivers provide high definition sound from your music soundtracks with crisp highs and vibrant details. The music quality that the Avantree in-ear earphones produces has plenty of depth and texture, and deliver a clean and full sound profile. Instrumental and classical music genres are reproduced with clean details and wide frequency ranges so you can hear almost every single detail in the music. The sound isolation technology helps block outside noises and allow you to immerse yourself in the music without distraction. The Avantree in-ear earphones can produce plenty of volume output without any distortion, and the sound remains clear and consistent without any muddiness at higher volumes. The Avantree in-ear earphones have the unique ability to connect to the TV receiver to allow you to listen to music on the go. The 3-foot or 12-foot pigtail cords are adequate lengths to connect to the TV for comfortable viewing. These earphones do feature 3 sets of tips for small, medium or large ear canals so you can match to your size. It also has a built-in mic and volume control for hands-free calling when you use them with a smart phone. They are lightweight and have a cable clip secure it to a shirt or jacket. These Avantree in-ear earphones have pretty good sound isolation which provides a quiet listening experience. Our only quibble with the Avantree in-ear earphones is that they are slightly bulky to wear and may take some time to get used to. We liked the fact that the manufacturers provide ear-tips of different sizes to choose from for optimal fit. The Verdict? The Avantree are some of the best earphones you can find on a budget that delivers good sound quality. These in-ear earphones are capable of producing crisp highs, detailed midranges and smooth bass response without any bloatedness. The sound quality remains consistent at high volume levels without any distortion. Furthermore, these earphones come with either a 3-foot or 12-foot cable to be able to connect directly to the TV. The built-in mic and volume control are a nice addition if you wish to use them with your smartphone device to take hands free calls. It also has 3 sets of silicon tips to be able to adjust to your ear size and a cable clip. While the Avantree does not have audiophile quality sound, they are some of the best earphones on a budget that provide really good value and a robust listening experience for music. 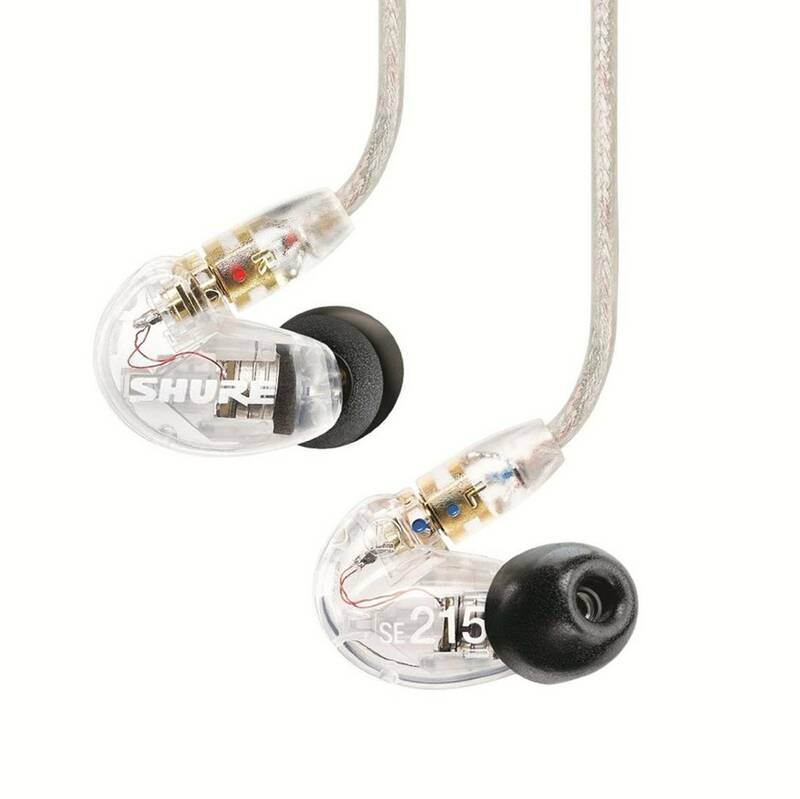 The Shure SE215-CL is one of the best earphones that provides crystal clear sound with deep bass performance. It has a unique clear and transparent design which allows you to see the built-in armature driver and the electrical components which is really cool. The monitors feature a sound isolating design featuring fit kit with a variety of sleeves for custom fit and blocks up to 37 dB of outside noises for an immersive listening experience. The monitors allow you to easily transition between iOS and android devices with 3.5mm connection in one switch. It also has an inline remote and microphone which offers controls for phone calls, voice commands and operational control of volume and music playback. The Shure SE215-CL uses an over-the-ear design which ensures that the in-ear monitors stay securely in place and provide long lasting comfort without any fatigue. These ear monitors also come with a zippered carrying case and fit kit with a selection of sleeves for a personalized fit. The armature driver on the SE215-CL has a frequency response between 22 Hz to 17.5 kHz and is tuned to provide deeper extended bass notes. Overall, it’s one of the best earphones we have tested and we highly recommend them. The sound quality from the Shure SE215-CL is clear, distinct and sharp. We found that these in-ear monitors are capable of producing frequencies and sound ranges that are traditionally omitted with most IEMs – it has a phenomenal frequency range between 22 Hz to 17.5 kHz. The SE215-CL produces high-fidelity sound performance that distils every single detail in the music with great accuracy. The soundstage coming from these in ear monitors is neutral and has decent bass response. The highs and midranges are crisp and clear, and these in ear monitors can produce great sound at both ends of the spectrum without any muddiness. The midranges and lower-frequency ranges are meticulously distinguished, and there is a good “openness” to the sound quality that lets you appreciate subtle details such as the keystroke of a piano or after-tone of the guitar. In short, the SE215-CLs are capable of reproducing music quality exactly as the artist intended it to be heard, provided that you use high-quality audio sources for these in ear monitors. We also tested the microphone quality on these monitors and it works like a charm for answering phone calls. In terms of sound quality, the SE215-CL are well-balanced and almost tonally perfect in ear monitors that brings out the details in the music without sounding artificial. The Verdict? The Shure SE215-CLs are some of the best earphones built for audiophiles. They can provide really crisp and neutral sounding music with a deep emphasis on the highs and vocal performances. It has a phenomenal frequency range of 22 Hz to 17.5 kHz and can even pick up details in the music which you might not have noticed before. While the sound may not measure up to higher-end Shure in-ear monitors, they deliver really good value for money at this price point and can distil down the details in the music with pristine accuracy. We also liked the fact that the Shure SE215-CLs come with comfortable sound isolating sleeves which block up to 37 dB of ambient background noises. It also comes with a detachable cable for multiple connectivity options and leaves open the possibility for component upgrades. There are also Bluetooth versions of the Shure SE215-CL that are available. If you are an audiophile or professional musician looking for one of the best earphones to get for listening to music, we highly recommend the Shure SE215-CLs.